The other day a few pictures of a re-issued CONS ERX 300 leaked. They come from the French Sneaker Blog Guillotine. It says that there will be other colorways released this winter. We'll have to see about that, but I sure hope so. While these aren't true retro's of the ERX 300's that I've seen, you can see the influence. I am very excited about the use the CONS name and logo. Honestly, the midsole and the thick looking tongue make them look like a skate edition. Which would explain some of the differences from the original. 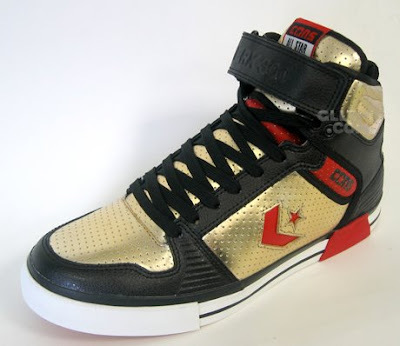 Especially with the recent use of classic Converse basketball shoes into skate edition shoes. Only time will tell. Thanks for stopping in, I'll be back tomorrow with a Friday Flashback. Nice blog.We are engaged in a similar job.If there have an opportunity,we can have an furthur Exchanges and cooperation.Let's keep in touch.Looking forward to your reply.